Today is Ada Lovelace Day, a day dedicated to celebrating women in technology. The second Tuesday of every October marks Ada Lovelace Day – a day to celebrate the achievements of all women in the STEM industry. In particular it acknowledges women in computer programming roles – in memory of Ada Lovelace, the first computer programmer. It’s an important day in Swarm’s calendar. We like to take the chance to celebrate the women working here at Swarm as well as across the industry. 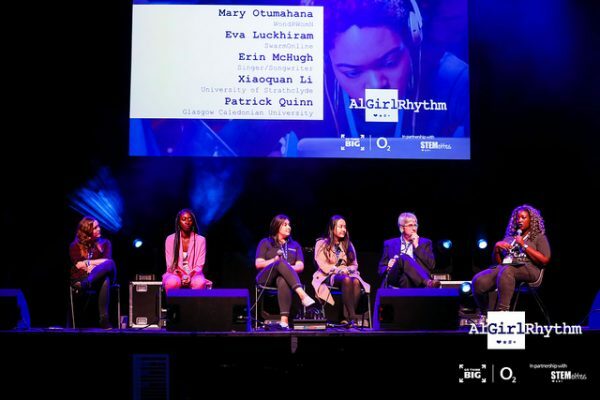 About 2 weeks ago we were lucky enough to be able to take part in one of the Stemettes’ leading events of the year called “AlGirlRhythm“. Eva one of our Engineering Leads, @evaluckhiram, with the help of some of the other Swarmers ran an app building workshop that took place all day during the #AlGirlRhythm event. It was a great opportunity to inspire some young girls with little coding experience. By the end of the session most of the girls had built their very own app! The workshop feedback we received from the girls was fantastic. Eva joined a panel session to pass on her words of wisdom about getting into technology and becoming a successful software developer. 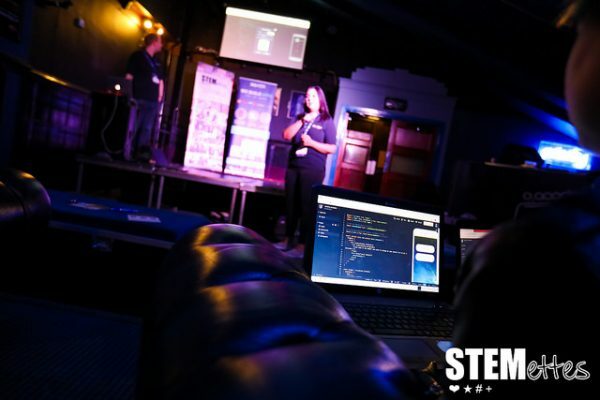 2 weeks later, it’s Ada Lovelace Day and Scotland’s biggest Women in Tech event kicking off in Glasgow tomorrow! We are delighted to be sponsoring one of the biggest conferences in the industry. Firstly because we can’t wait to meet lots of successful women to hear about their journeys in technology. Secondly, this event is part of a larger series called Women in Tech World Series and is the world’s largest event dedicated to women in technology! Additionally, there is a fantastic agenda of talks and discussions lined up from inspirational women representing companies e.g. Skyscanner, RBS and Sky. 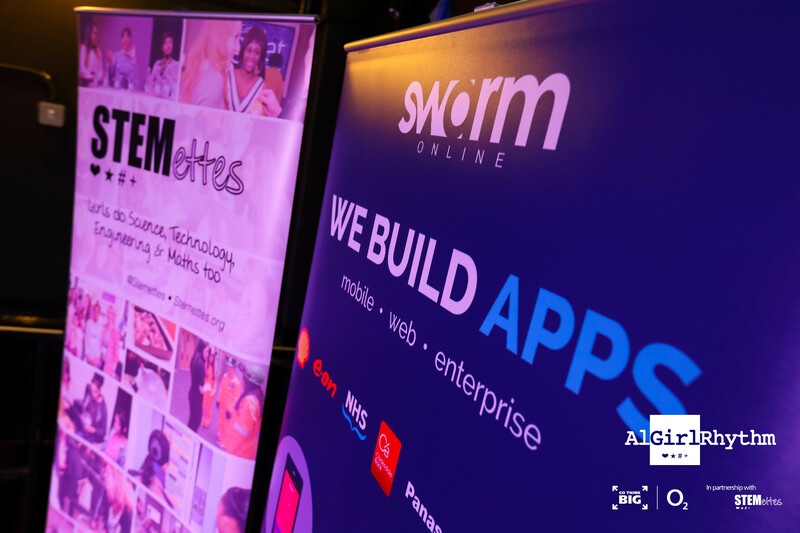 We are so happy to be supporting these events that inspire and encourage women into the tech industry. Here at Swarm, our team is rapidly expanding and we are excited as more women are becoming software developers. We welcome you to come and work at Swarm! Happy Ada Lovelace Day to all the women in technology! Check out our open vacancies here!